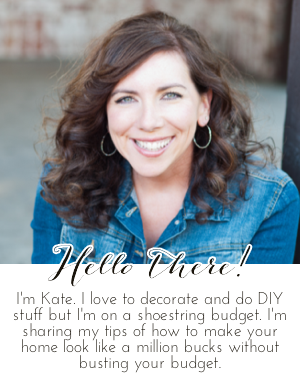 Chic on a Shoestring Decorating: Flaunt it Friday #300!!! WOW!! This is the 300th Flaunt it Friday!!! Thank you so much for making this party possible. If it wasn't for you guys my beloved Flaunt it Friday would've crashed and burned long ago. I look forward to this party every week and I sure hope you do too! Thank you Kate and Congratulations on your 300th Flaunt It Friday Party. Have a great week.